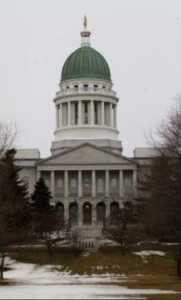 People of all faiths are invited to gather together for prayer while the Joint Committee on Appropriations holds hearings on the Governor’s proposed budget cuts to programs affecting vulnerable Mainers. Prayer leaders will be from Buddhist, Christian, Jewish, Muslim, Quaker and Unitarian Universalist communities around the state. Clergy are invited to wear stoles, collars or other symbols and vestments appropriate to their faith tradition. If you cannot come to Augusta, please join us in prayer wherever you are on Wednesday, February 22, from 11:30am to 12:15pm. Let’s stand together as people of faith who recognize that budgets are moral documents and who understand the power of prayerful presence.